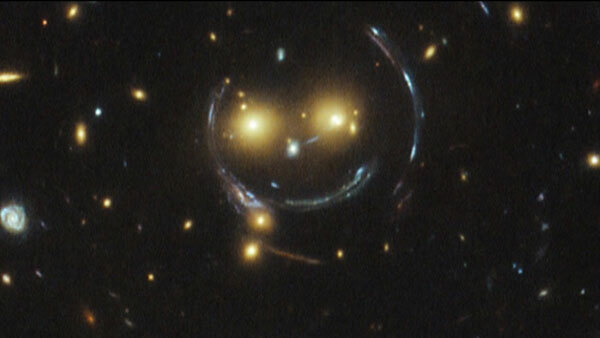 It may look like a smiley face beaming down from the heavens - but this is actually a massive galaxy cluster. The Hubble Space Telescope captured the image. It looks like two glowing yellow eyes and several curved lines forming a face and a smile. The two glowing eyes are actually two distant galaxies. The smile is a result of what astronomists call strong gravitational lensing.